So much crazy going on around us today - wars, conflicts, persecution, violence, crime, natural disasters, terrorism, economic uncertainty, unemployment, divisions, disease, death. We fear for our children’s future, we fear for our families, we fear for our financial future, we fear for our safety. The list goes on…long. There actually is a lot we could potentially worry about. Yet reality tells us that so much of what we spend our time worrying about never even happens. Living under the weight of the "what if's" is a hard place to dwell. I struggled with fear and worry for years. But through time, I began to find that the things that once would have sent me down an anxious spiral, no longer had the same effect. It didn’t happen quickly, but over days, months, years. I read words - of life - of truth. Soaking them in, over and over, praying them out loud. Until they became so familiar, they replaced the other things in my mind that I’d battled against. There’s nothing magical about words and verses, but there is power through them because they’re God’s words. Change happened. Anxious thoughts began to diminish. Worry let go of its constant grip. And though fear is sometimes still there, it no longer wields control, holding me back, paralyzing me in its grasp. His words are “life” words, soothing to our soul, calming to our spirits, giving power to our days. Choosing not to allow fear and anxiety to control your life. Choosing to guard your heart. Choosing to focus your mind on what is true in the midst of uncertain times. We might still feel afraid, but we can believe that God is with us. We may not be in control, but we can trust the One who is. We may not know the future, but we can know the God who does. Be assured, He is with you in whatever you face, in the turmoil and struggles, amidst the anxious thoughts and the worries of life. 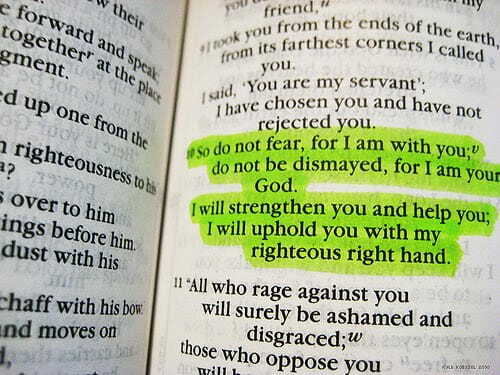 He is there, strengthening, helping, and He holds you in His hands. God is greater. He gives us the power to live courageously, boldly, fearlessly in this life, when many things that surround us would tell us to be afraid. His truth whispers strong and sure to the deepest core of our spirits. All of that stuff on your mind? Give it to Him – again. 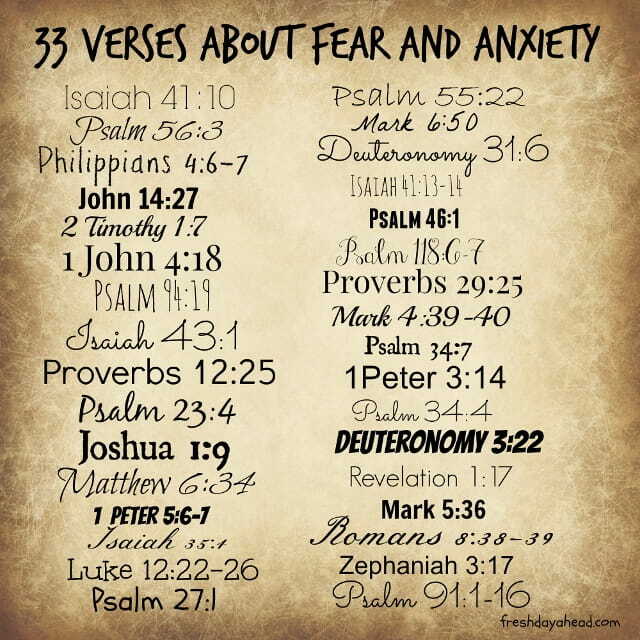 Replace those fearful thoughts with His words of truth. And sleep in peace tonight. He knows what concerns you, He’s got you covered. Debbie McDaniel is a writer, pastor's wife, mom to three amazing kids (and a lot of pets). Join her each morning on Fresh Day Ahead's Facebook page, https://www.facebook.com/DebbieWebbMcDaniel, for daily encouragement in living strong, free, hope-filled lives. Find her also at http://www.debbiemcdaniel.com and http://twitter.com/debbmcdaniel.